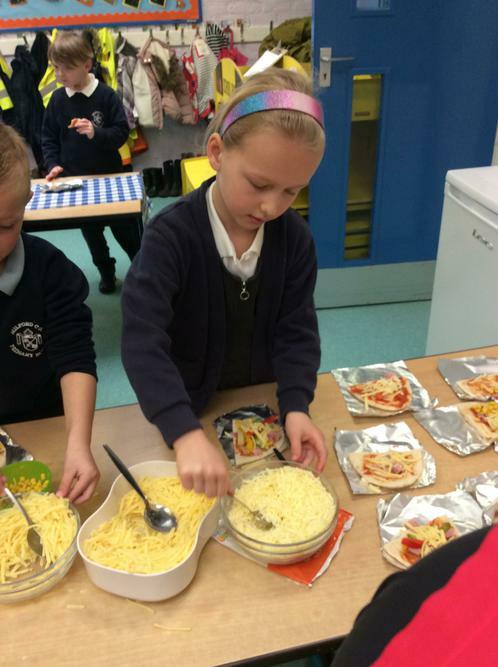 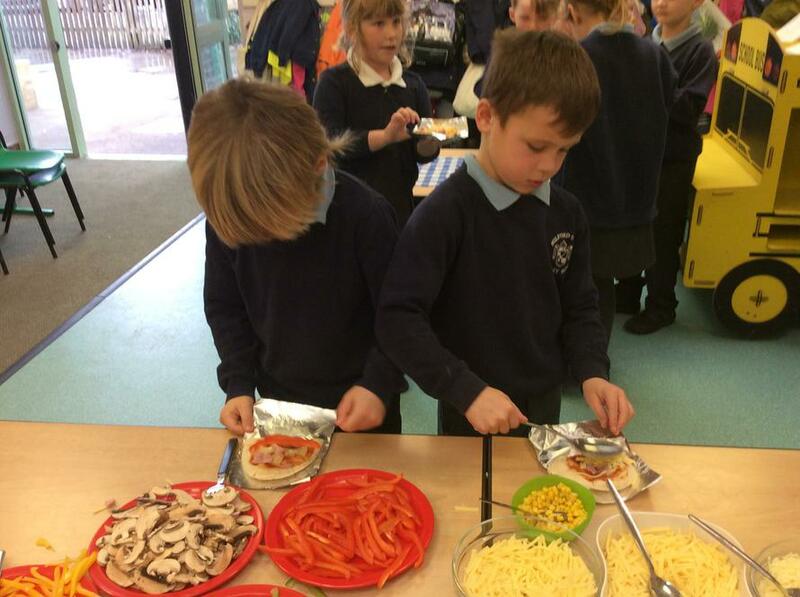 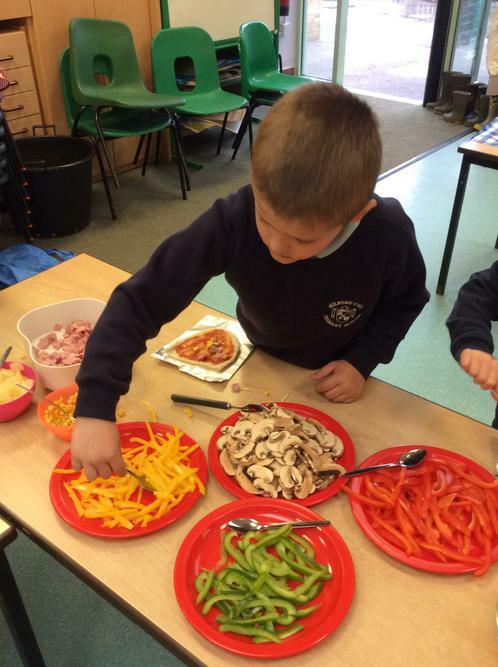 This half term, we have been thinking about how to make a healthy pizza. 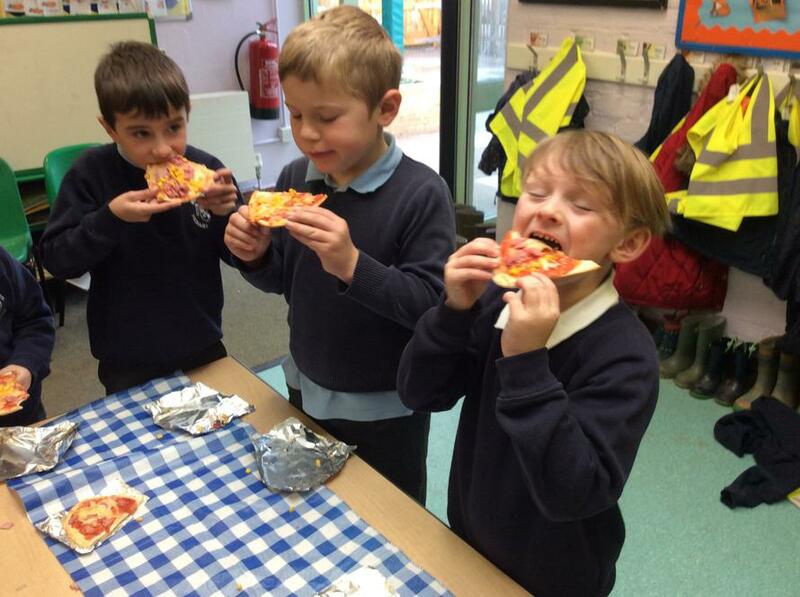 We tasted different breads to see which we liked and then thought which would make the best pizza base. 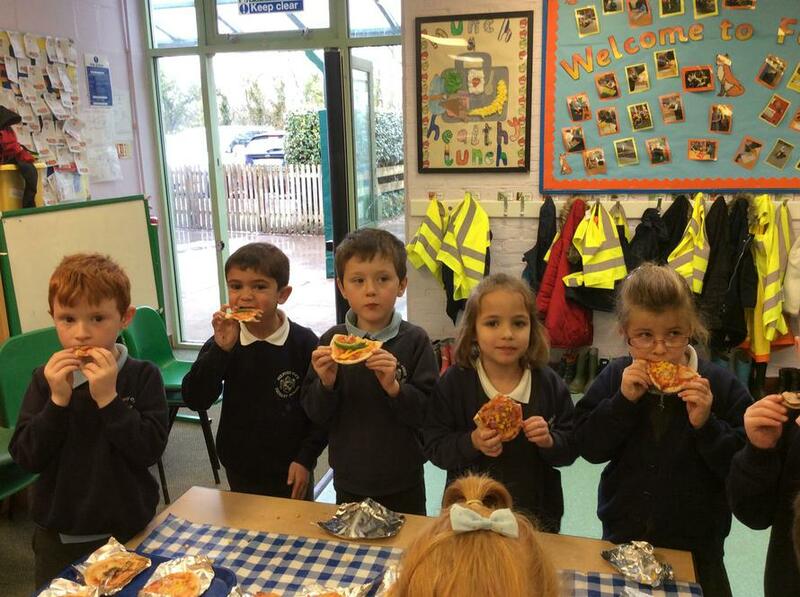 We decided that the best pizza base was pitta bread! 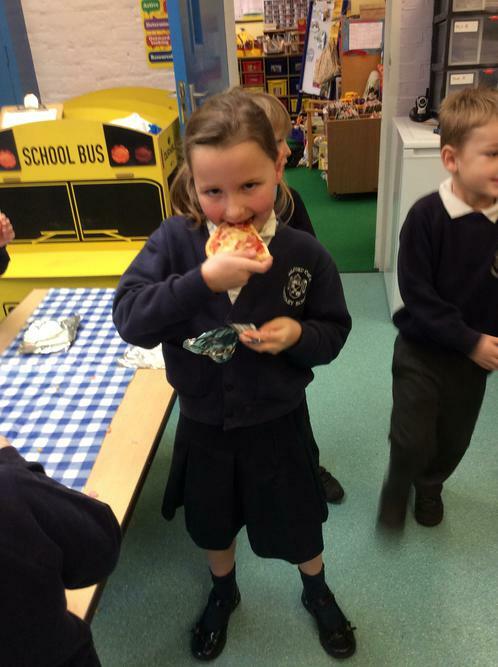 So we then designed our own pizza, thinking carefully about healthy toppings. 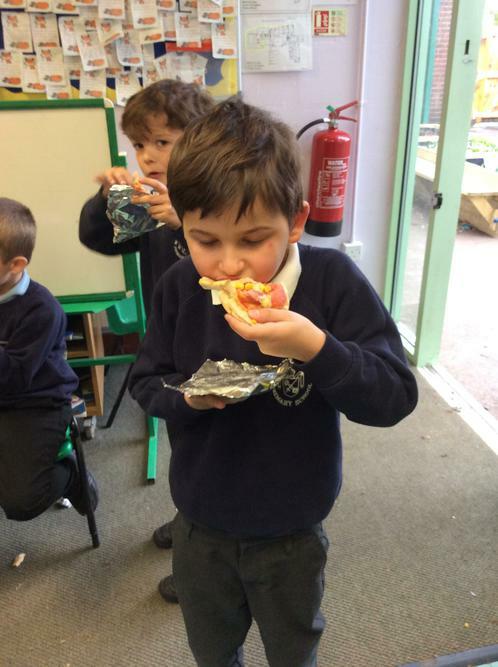 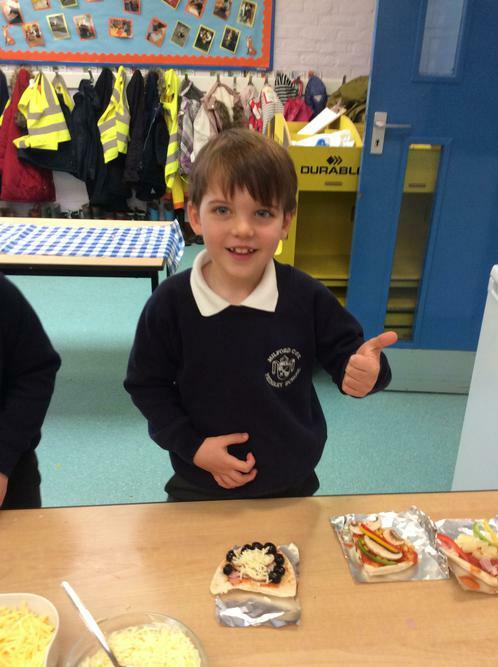 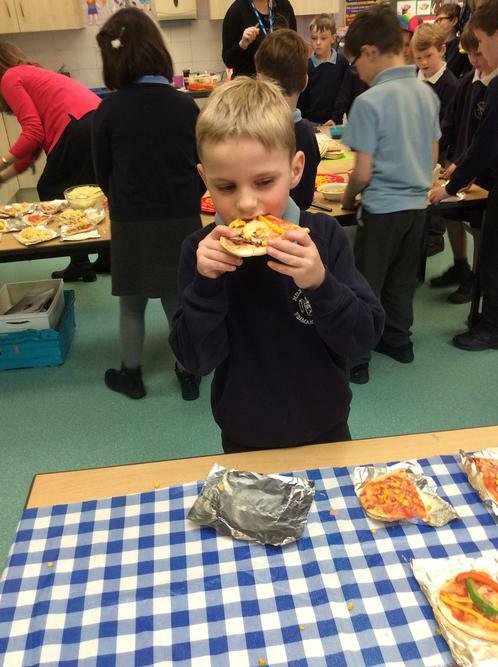 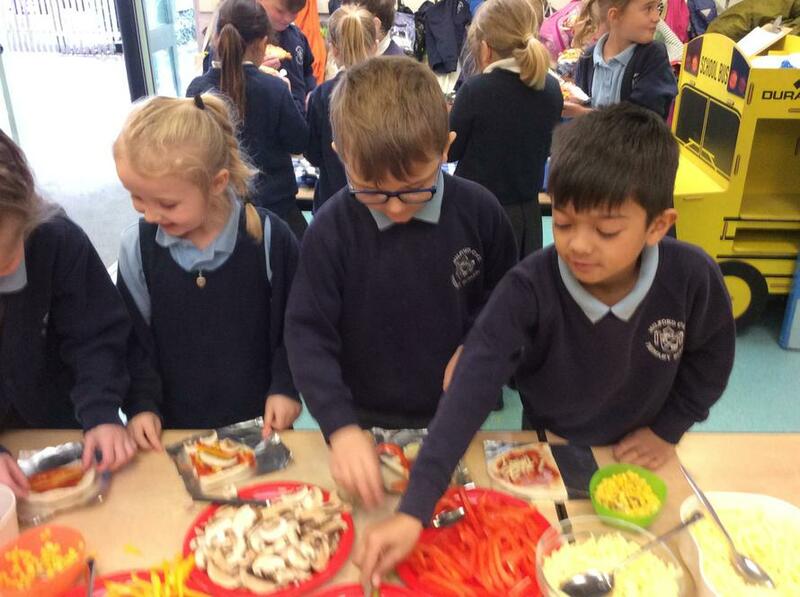 Everyone chose three different toppings to create a colourful, tasty pitta pizza. 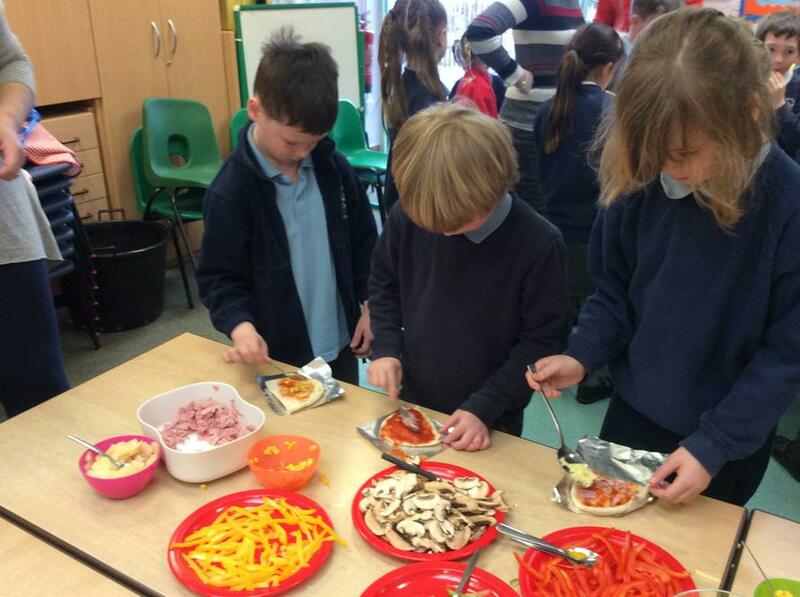 In English, we have been learning how to write instructions. 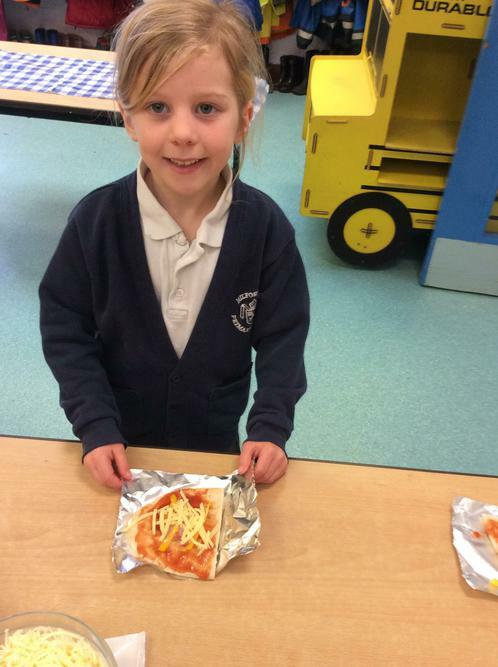 After we made and enjoyed eating our delicious pizzas, we then wrote instructions so that we could make them at home.